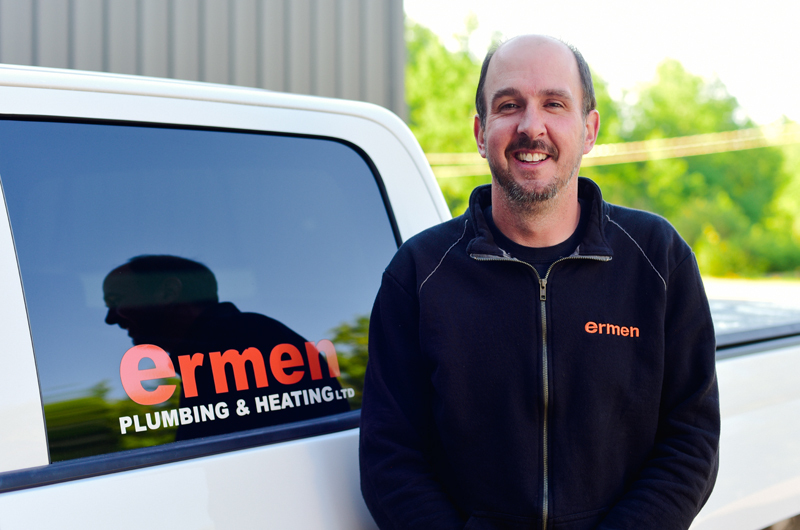 Over his ten plus years with Ermen, Pat Dupuis has seen a lot. Getting his start as a laborer in 2006, Pat started his apprenticeship in 2009 and became a licensed plumber in 2016. In that time, he has learned that prevention is key. Whether it’s screens in the tub or shower to catch hair, what’s acceptable to flush, or having leaks taken care of quickly, it’s easier to prevent it than to fix it. Hailing from Riverview, Pat knows the Ermen history and loves being able to solve a customers problems and leave them happy and secure knowing that if they ever need him again, he’ll be there. At the end of the day, Pat goes home to his wife Amy, and his two beautiful girls Ivy, and Jane.